Operation Wildfire has come to a close. The Operation Wildfire case is available for all players. Added ESL One Cologne 2016 tournament finalists and champions to the Major Trophy. 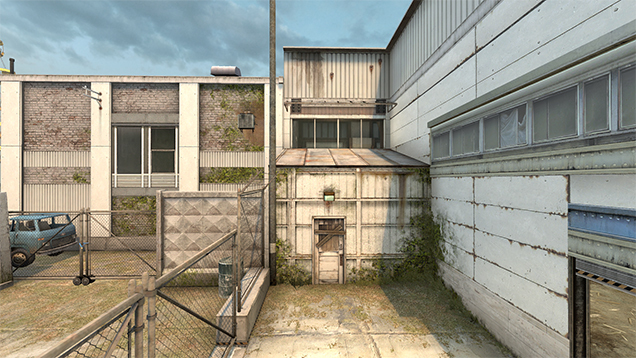 Increased fidelity for Bizon, Mac10 and UMP45 weapons. Unique reload and draw sounds for Bizon, Mac10 and UMP45 weapons. New sound for C4 disarm start and disarm finish, more in line with C4 plant sounds. New sound for empty magazine impacting with ground. Lowered volume of low ammo sound and added unique sound. Lowered volume of smoke grenade tail. 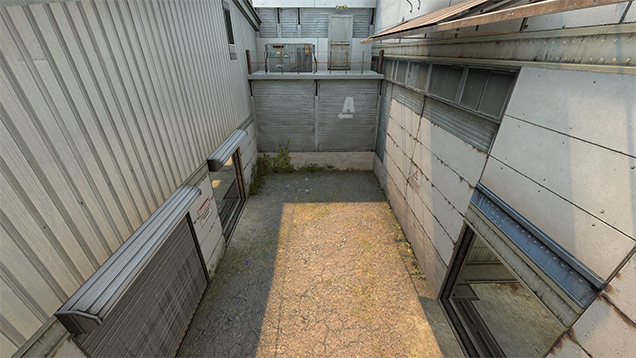 Added graffiti to commemorate ESL One Cologne 2016. 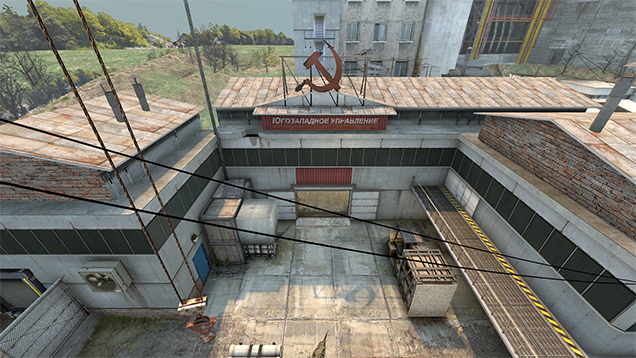 Fixed maps that use Squirrel scripting, including the Weapons Course map. Fixed a Linux memory leak. s1mple Graffiti– Graffiti has been added to remember the epic moment from the Major. Texture Re-Map– The stone wall texture has been slightly remapped with the addition of the new graffiti. 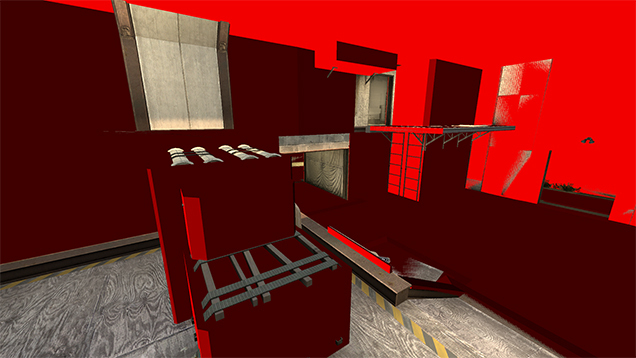 Adjusted Clip Brush– The clip brush on top of missile crate has been restored to a previous state – so smokes will bounce more fluidly in to B main. 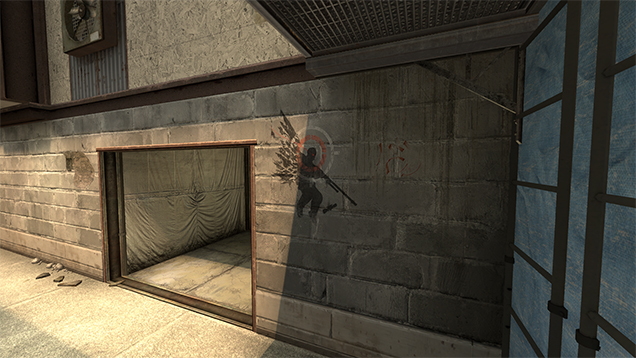 Added Grenade Clip Brush– A new grenade clip brush was added to the area surrounding the whole pipe in middle. This was to fix a previous glitch which would be caused by a molotov. Fence Moved– The fence located in the sun-room has been moved over just a bit. 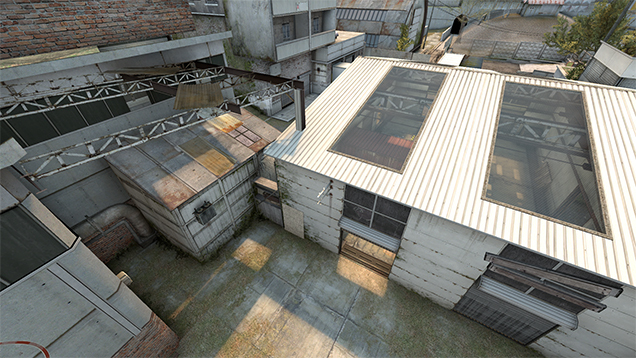 Spectator Improvements– The release of the revamp Cache removed many roof textures in the trade off that they were not needed for the player and would save a few frames. 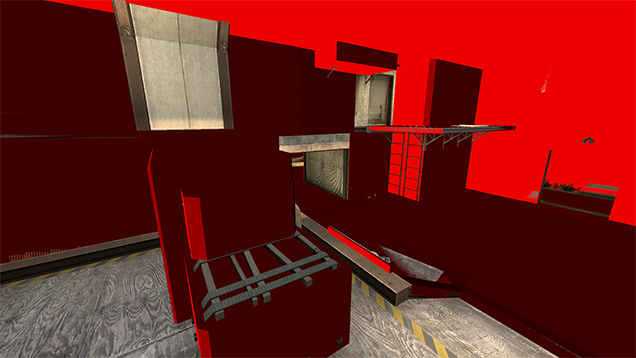 But certain tournaments would use higher camera positions and flyby movements with their production – the missing texture faces would appear often. This has now been fixed with many of those surfaces having faces now. Included with this patch has been new sounds for the \\\’Nearly Empty\\\’, Smoke Emit effect, and the Ground Impact effects. 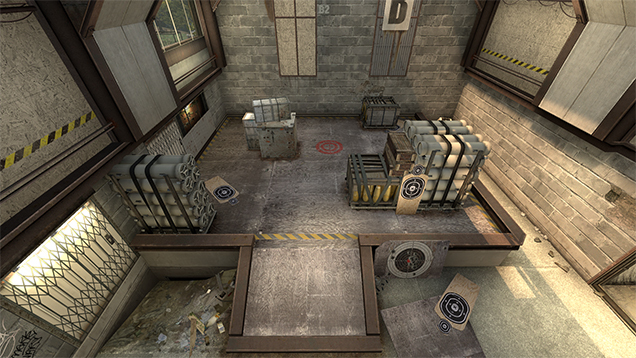 Also includes new sounds for the Mac-10, UMP-45, and the PP-Bizon. The VTF files from the trophies model has been adjusted to include the latest Major winners and the finalist of teams. First of all the sound impact of a player\\\’s magazine hitting the ground was changed in it\\\’s level. Second – the actual sound of it hitting certain glass surfaces – either hard or soft – has been modified with new sound files. The C4\\\’s start and finish disarm sound has been changed to new audio files. The newly added nearly empty sound effect has been replaced with a different one and has been lowered in volume from a 1st and 3rd PoV. - "Store_FreeBackpackSpace" "ESPAÇOS RESTANTES NO INVENTÁRIO: %s1"
- "SFUI_Elevated_Status_Desc_Tooltip" "A sua conta é Prime. Quando tivermos contas Prime suficientes, iniciaremos a criação de partidas de contas Prime e começaremos a combinar jogadores Prime uns com os outros.\\\\n\\\\nNão há mais nada que precisa fazer (exceto convencer os seus amigos de também se tornarem Prime para termos jogadores suficientes para o teste!)" + "Store_FreeBackpackSpace" "ESPAÇOS NO INVENTÁRIO: %s1"
+ "SFUI_Healthshot_AlreadyAtMax" "Je bent al op maximale gezondheid"
- "Quest_Weapon_Mode_desc" "Erzielen Sie %optional_target%%actions% in %gamemode%-Spielen mit: %weapon%"
- "Quest_Weapon_Mode_single_desc" "Erzielen Sie in einem %gamemode%-Spiel einen Abschuss mit: %weapon%"
- "Quest_Kills_Mode_desc" "Erzielen Sie %optional_target%%actions% in %gamemode%-Spielen." - "Quest_Win_Rounds_Map_desc" "Erzielen Sie %gamemode% %actions% in Spielen auf %mapgroup%." - "Quest_Weapon_Map_Team_desc" "Erzielen Sie als %team% %optional_target%%actions% in %gamemode%: %map%-Spielen mit: %weapon%"
- "Quest_Rescue_Map_Desc" "Erzielen Sie %actions% in %gamemode%: %map%-Spielen." - "Quest_Assassination_desc" "Suchen und töten Sie %target% (%victim_team%) in %gamemode%: %map%-Spielen." + "Quest_Weapon_Mode_desc" "Erzielen Sie %optional_target%%actions% im Modus %gamemode% mit: %weapon%"
+ "Quest_Weapon_Mode_single_desc" "Erzielen Sie einen Abschuss im Modus %gamemode% mit: %weapon%"
+ "Quest_Kills_Mode_desc" "Erzielen Sie %optional_target%%actions% im Modus %gamemode%." 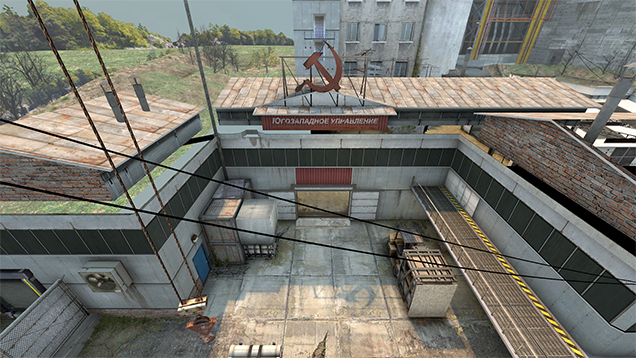 + "Quest_Win_Rounds_Map_desc" "Erzielen Sie %actions% im Modus %gamemode% in %mapgroup%." + "Quest_Weapon_Map_Team_desc" "Erzielen Sie als %team% %optional_target%%actions% im Modus %gamemode% auf %map% mit: %weapon%"
+ "Quest_Rescue_Map_Desc" "Erzielen Sie %actions% im Modus %gamemode% auf %map%." + "Quest_Assassination_desc" "Suchen und töten Sie %target% (%victim_team%) im Modus %gamemode% auf %map%." - "CSGO_Watch_RoundData_Name" "%s1 - wydajność w rundzie"
- "CSGO_PickEm_Buy_Title" "Kup %s1, aby wybrać zwycięzcę tego meczu"
- "CSGO_Fantasy_Apply_Player_Title" "Potwierdź skład swojej drużyny marzeń. Możesz zaktualizować swój skład przed rozpoczęciem meczy w danym dniu oraz po ich zakończeniu." - "CSGO_Fantasy_Team_Stat_0" "Za / Zg"
- "CSGO_Fantasy_Team_Stat_1" "ZABÓJSTWA PODCZAS CLUTCHÓW"
- "CSGO_Fantasy_Team_Stat_4" "ZABÓJSTWA Z KARABINU SNAJPERSKIEGO"
- "CSGO_Fantasy_Team_NotSubmitted" "DRUŻYNA NIE ZOSTAŁA ZGŁOSZONA"
- "CSGO_Watch_Tournament_Stickers_Desc_9" "- Przedstawiamy naklejki z autografami graczy MLG Columbus 2016\\\\n- Kup naklejki drużyn uczestniczących w Columbus 2016, aby je wspierać\\\\n- Używaj swoich naklejek, aby grać w ligę marzeń Columbus 2016\\\\n i wyzwanie Pick\\\'Em." - "CSGO_Watch_Tournament_Stickers_Desc_10" "- Przedstawiamy naklejki z autografami graczy ESL One Cologne 2016\\\\n- Kup naklejki drużyn uczestniczących w ESL One Cologne 2016, aby je wspierać\\\\n- Używaj swoich naklejek, by uczestniczyć w grach turniejowych:\\\\n Drużyna Marzeń oraz Wyzwanie Pick\\\'Em"
+ "CSGO_Watch_RoundData_Name" "%s1 - skuteczność w meczu"
+ "CSGO_PickEm_Buy_Title" "Kup naklejkę %s1, by wytypować ten zespół jako zwycięzcę"
+ "CSGO_Fantasy_Apply_Player_Title" "Zatwierdź skład swojej drużyny marzeń. Możesz zaktualizować swój skład przed rozpoczęciem meczy w danym dniu oraz po ich zakończeniu." + "CSGO_Fantasy_Team_Stat_0" "Zab / Zgo"
+ "CSGO_Fantasy_Team_Stat_1" "ZAB. W CLUTCHACH"
+ "CSGO_Fantasy_Team_Stat_4" "ZAB. Z KAR. SNAJPERSKIEGO"
+ "CSGO_Fantasy_Team_NotSubmitted" "NIE ZATWIERDZONO DRUŻYNY"
+ "CSGO_Watch_Tournament_Stickers_Desc_9" "- Przedstawiamy naklejki z autografami graczy MLG Columbus 2016\\\\n- Kup naklejki, by wesprzeć drużyny oraz zawodników\\\\n- Używaj swoich naklejek, by uczestniczyć w grach turniejowych:\\\\n Drużyna Marzeń oraz Wyzwanie Pick\\\'Em"
+ "CSGO_Watch_Tournament_Stickers_Desc_10" "- Przedstawiamy naklejki z autografami graczy ESL One Cologne 2016\\\\n- Kup naklejki, by wesprzeć drużyny oraz zawodników\\\\n- Używaj swoich naklejek, by uczestniczyć w grach turniejowych:\\\\n Drużyna Marzeń oraz Wyzwanie Pick\\\'Em"
- "SFUI_DisconnectReason_VAC" "Antingen blockerar din dator VAC-systemet eller så kan du inte upprätthålla en stabil anslutning till VAC-systemet. Du kan inte spela på säkra servrar.\\\\n\\\\nhttps://support.steampowered.com/kb_article.php?ref=2117-ILZV-2837"
- "CSGO_Fantasy_Watch_Tab" "Spela CS:GO Fantasimatch"
- "CSGO_Fantasy_Team_PlayerStats_Title" "Statistik över spelarprestanda"
- "CSGO_crate_key_community_11" "Nyckel till väska för Operation på Wildfire i CS:GO"
+ "SFUI_DisconnectReason_VAC" "Du kan inte spela på säkra servrar på grund av en av följande anledningar:\\\\n\\\\n•Ett problem med din dator blockerar VAC-systemet.\\\\n•Du kan inte upprätthålla en stabil anslutning till VAC-systemet.\\\\n•Du använder mjukvara som modifierar spelet eller är inkompatibelt med VAC.\\\\n\\\\nFör mer information, besök:\\\\nhttps://support.steampowered.com/kb_article.php?ref=2117-ILZV-2837"
+ "CSGO_Fantasy_Watch_Tab" "Spela CS:GO Fantasy-spelet"
+ "CSGO_Fantasy_Team_PlayerStats_Title" "Statistik över spelarprestationer"
+ "SFUI_Elevated_Status_AccCooldown" "Ditt CS:GO-konto uppgraderades nyligen till Prime-status med ett annat telefonnummer.\\\\n%s1 tills du kan uppgradera ditt konto till Prime-status med ditt nya telefonnummer på Steam." + "coupon_pins_series_1" "Samlingspinskapsel - Serie 1"
+ "CSGO_crate_pins_series_1_desc" "Denna kapsel innehåller en serie 1 samlingspin. Samlingspins kan visas på din CS:GO-profil." + "CSGO_SupportGameAuthKey_Type_9" "2016 MLG Columbus Pick\\\'Em- och Fantasy-hantering"
+ "Cstrike_TitlesTXT_Not_Enough_Money_NextRound" "Du har inte tillräckligt med pengar. $%s1 som du nyss fick kan inte spenderas denna runda." + "CSGO_crate_key_community_13_desc" "Denna nyckel öppnar endast Gamma-lådor"
+ "Paintkit_cu_lore" "Den har målats med ett knutmönster." + "Paintkit_cu_stonewash" "Den har stentvättats och fått ett svart laminerat handtag." + "PaintKit_am_marbleized_g" "Den har målats med svart- och silvermetallicfärger med hjälp av marmorering för att sedan bli kanderad." + "PaintKit_gs_autotronic" "Den har anodiserats röd och använder stålnät för att lätta på vikten." 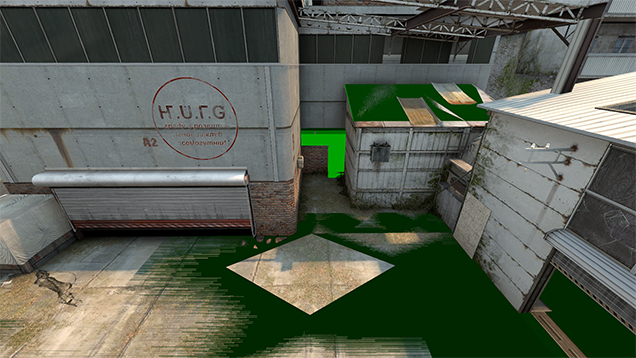 + "PaintKit_hy_ocean_knife" "Den har målats hydrografiskt med ett blått kamouflage-motiv." + "PaintKit_am_marked_up" "Den har målats svart och lila, och sedan dekorerats med en metallic-penna." + "PaintKit_cu_five_seven_daimyo" "Den har målats med en grafisk design i lila och svart." + "PaintKit_cu_glock_wasteland_rebel" "Den har blivit sliten, blocktryckts, och målats med graffiti." 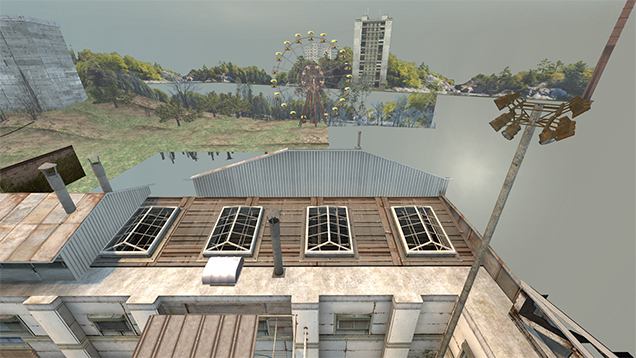 + "PaintKit_cu_m4a4_desolate_space" "Den har målats med ett rymdtema." + "PaintKit_aq_mac_10_alien_camo" "Den har målats med röd och lila hydrografik över en metallisk grundlack." + "PaintKit_aq_nova_sci_fi" "Den har målats med hydrografik med ett motiv av silvriga paneler över en lilamönstrad grund." + "PaintKit_gs_p2000_imperial_dragon" "Den har målats med ett motiv av en drake i röda metalliska färger." + "PaintKit_gs_p250_metal_panels" "Den har dekorerats med nitade metallpaneler." + "PaintKit_gs_p90_full_throttle" "Den har målats med ett motiv av eld i orangea och blåa metalliska färger." 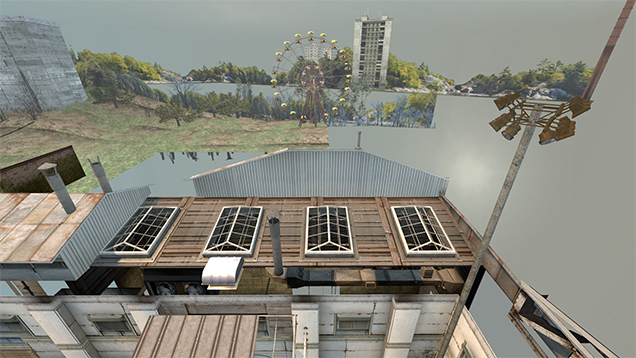 + "PaintKit_gs_pp_bizon_harvester" "Den har dekorerats med ett bio-mekaniskt motiv." + "PaintKit_cu_r8_cybersport" "Den har dekorerats med röda accenter på silvriga och svarta paneler." + "PaintKit_cu_sawed_off_lime" "Den har målats med svepande kurvor i limegrönt och vitt." + "PaintKit_gs_scar20_bloodsport" "Den har täckts med vita logotyper över hydrografik i rött och svart." + "PaintKit_cu_sg553_aerial" "Den har målats med silver och gult och givits en vit dekal med vingar." + "PaintKit_am_tec_9_sea_salt" "Den har målats med en abstrakt hydrografik i blått och vitt." + "SFUI_Store_Hint_crate_community_13" "Denna låda innehåller 17 ytbehandlingar av vapen från Gamma-kollektionen som är skapade av gemenskapen"
+ "SFUI_Stirke_Rank_Warning_Level1" "Delta i tävlingsinriktade Blitz-uppdrag när du når Menig Nivå 2"
+ "SFUI_XP_Bonus_RankUp_81" " %s1 intjänad XP (din poäng x Menig Nivå %s2-multiplikator)"
+ "SFUI_XP_Bonus_RankUp_82" " %s1 intjänad XP (rundor vunna x Menig Nivå %s2-multiplikator)"
+ "SFUI_XP_Bonus_RankUp_88" " %s1 Blitz-uppdrag XP (din XP x Menig Blitz-multiplikator)"
+ "SFUI_Elevated_Status_Not_Enrolled_Tooltip" "Betan för matchning med Prime-konton prioriterar att spelare med Prime-status matchas med varandra. Spelare blir berättigade till att uppgradera till Prime-status genom att skaffa XP och nå Löjtnant Nivå 21." 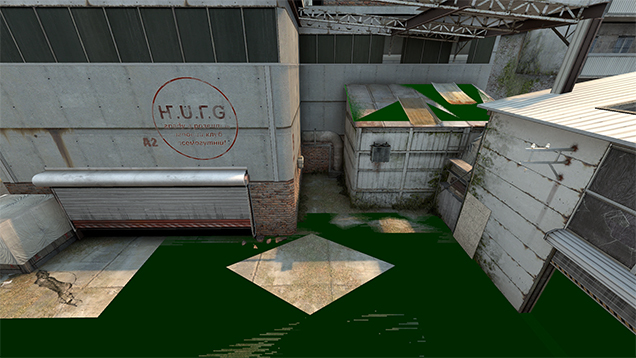 + "SFUI_QMM_ERROR_X_InsufficientLevel02" "%s1 måste erhålla minst \\\'Menig Nivå 2\\\' CS:GO-profilnivå innan denne kan delta i tävlingsmatchning." + "SFUI_QMM_ERROR_1_InsufficientLevel02" "Du måste uppnå minst \\\'Menig Nivå 2\\\' CS:GO-profilnivå innan du kan delta i tävlingsmatchning." + "SFUI_LobbyPrompt_QueueSearchTitle_Prime" "Letar efter en Prime-match"
+ "SFUI_Lobby_Has_NonPrime_Player" "Alla lobbymedlemmar måste vara Prime"
+ "SFUI_Lobby_Prime_Active" "Sök endast efter Prime-matcher"
+ "SFUI_Lobby_Prime_InActive" "Prioritera Prime-matcher, men tillåt icke-Prime"
+ "SFUI_Lobby_Prime_Not_Enrolled" "Du är inte inskriven i Prime-matchning"
+ "Paintkit_hy_nuclear_skulls4_p250" "Den har målats med ett hydrografiskt mönster med nukleära skallar och ben." + "SFUI_Settings_FramerateSmoothing" "Utjämning av bildfrekvens"
+ "CSGO_official_leaderboard_pickem_cologne2016_fantasy" "Cologne 2016 Fantasy Team-spelet"
+ "CSGO_official_leaderboard_pickem_cologne2016_team" "Cologne 2016 Pick\\\'Em-utmaningen"
+ "CSGO_CollectibleCoin_Cologne2016_PickEmBronze" "Brons Cologne 2016 Pick\\\'Em-trofé"
+ "CSGO_CollectibleCoin_Cologne2016_PickEmSilver" "Silver Cologne 2016 Pick\\\'Em-trofé"
+ "CSGO_CollectibleCoin_Cologne2016_PickEmGold" "Guld Cologne 2016 Pick\\\'Em-trofé"
+ "CSGO_CollectibleCoin_Cologne2016_Finalist" "Finalist vid ESL One Cologne 2016"
+ "CSGO_CollectibleCoin_Cologne2016_Semifinalist" "Semifinalist vid ESL One Cologne 2016"
+ "CSGO_CollectibleCoin_Cologne2016_Quarterfinalist" "Kvartsfinalist vid ESL One Cologne 2016"
+ "CSGO_SupportGameAuthKey_Type_10" "2016 Cologne Pick\\\'Em- och Fantasy-hantering"
+ "CSGO_Tournament_Event_NameShort_10" "2016 ESL One Cologne"
- "PaintKit_cu_skull_nova" "這已經用亞光漆和油漆畫上一個骷髏圖案。\\\\n\\\\nIzaki 先生，我不是在抱怨......但是你到底需要多少霰彈槍啊？ - Imogen 與 The Oni，第一部分"
+ "PaintKit_cu_skull_nova" "這已經用亞光漆和油漆畫上一個骷髏圖案。\\\\n\\\\n伊崎先生，我不是在抱怨... 但是你到底需要多少霰彈槍啊？ - 《伊莫珍與邪鬼》卷一"
+ "PaintKit_so_indigo" "這武器已被塗上了靛、緋紅與灰色。\\\\n\\\\n菲力克斯你有時該笑一下，如果你不一直板著那張臉的話也許會更有女人緣 - 伊莫珍 實習軍火商"
+ "PaintKit_cu_well_traveled_ak47" "這武器的槍拖被棕色皮革包覆著。它已去過不少城市了。\\\\n\\\\n任何細心觀察的人都能將線索串起來然後發現她的所作所為。我們沒時間想辦法了... - 《父愛》卷一"
+ "PaintKit_cu_brown_leather_p90" "這武器的槍拖被棕色皮革包覆著。\\\\n\\\\n別擔心，此產品通過 TSA 認證"
+ "CSGO_Tournament_Final_Date_10" "七月 10 日"
- "CSGO_community_crate_key_1_desc" "กุญแจดอกนี้ใช้เปิดกล่อง Winter Offensive เท่านั้น"
- "CSGO_community_crate_key_6_desc" "กุญแจดอกนี้ใช้เปิดกล่อง Chroma เท่านั้น"
- "CSGO_community_crate_key_7_desc" "กุญแจดอกนี้ใช้เปิดกล่อง Chroma 2 เท่านั้น"
+ "CSGO_community_crate_key_1_desc" "กุญแจนี้ใช้เปิดกล่อง Winter Offensive เท่านั้น"
+ "CSGO_community_crate_key_6_desc" "กุญแจนี้ใช้เปิดกล่อง Chroma เท่านั้น"
+ "CSGO_community_crate_key_7_desc" "กุญแจนี้ใช้เปิดกล่อง Chroma 2 เท่านั้น"
+ "CSGO_official_leaderboard_pickem_cologne2016_fantasy" "เกมทีมแฟนตาซี Cologne 2016"
+ "CSGO_official_leaderboard_pickem_cologne2016_team" "การท้าทาย Pick\\\'Em Cologne 2016"
+ "CSGO_Tournament_Event_Name_10" "การแข่งขันชิงแชมป์ CS:GO - ESL One Cologne 2016"
+ "CSGO_crate_sticker_pack_cologne2016_legends_tag" "ทีมตำนาน Cologne 2016"